With both the city's NHL and NBA teams in the first round of the playoffs, the simultaneous schedule of games can create a perfect storm of tens of thousands of fans coming up against road closures, creating major traffic problems. 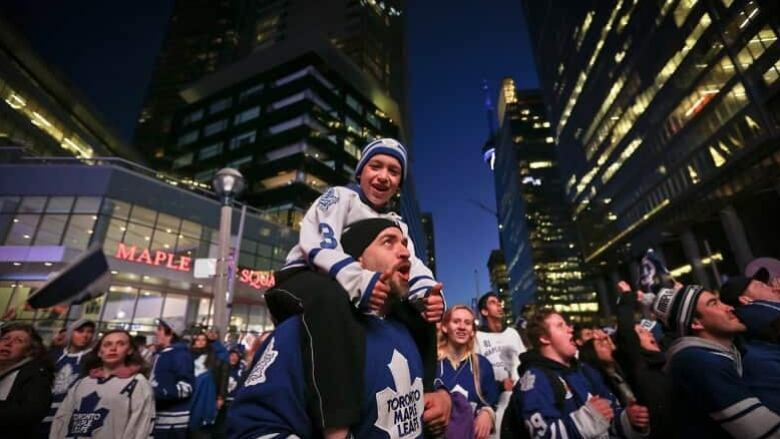 If all goes well, the hockey and basketball playoff season in Toronto will be a long one, turning the city into a bustling hub for excited fans. With both the city's NHL and NBA teams in the first round of the playoffs, the simultaneous scheduling of games can create a perfect storm of tens of thousands of fans coming up against road closures, more police on the road and security checkpoints, which could create major traffic problems. That's why police and the city are urging everyone coming into the downtown core to leave their car at home. "Take public transit — please," said Eric Holmes, spokesperson for the City of Toronto. "It's one thing we cannot stress enough." For the next two weeks or so, a tailgate party will take place at Maple Leaf Square whenever a game is on at the Scotiabank Centre. That means Bremner Boulevard will be closed between Lake Shore Boulevard East and York Street every day from 7 a.m. to midnight. Added to that is ongoing construction to install a pedestrian tunnel on York Street between Front and Harbour streets, which has closed all southbound lanes, squeezing two-way traffic into both the northbound lanes. 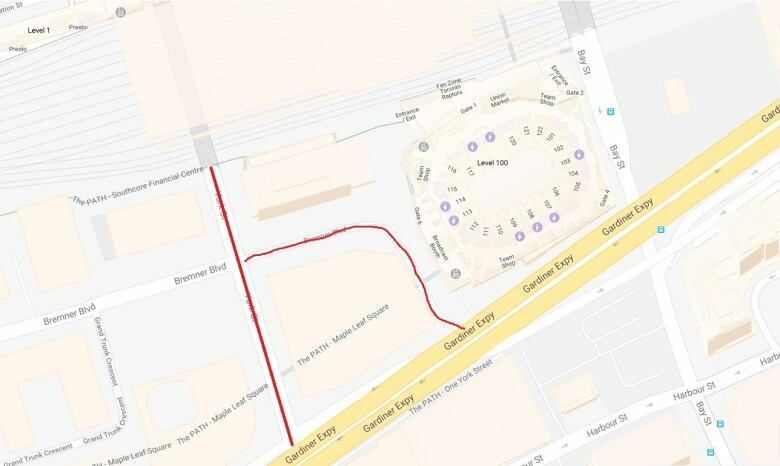 Fans will notice a larger police presence as well, with security checkpoints to allow residents and WheelTrans vehicles to access the arenas and condos in the area. Toronto police Insp. Matt Moyes told CBC Toronto on Saturday these safety measures are the new reality in policing. "We're a world-class city always on the world-class scale, and if that's the case we want to bring people into our city," Moyes said. "We have to be modern, we have to be current with our public safety, current with our vehicle mitigation."